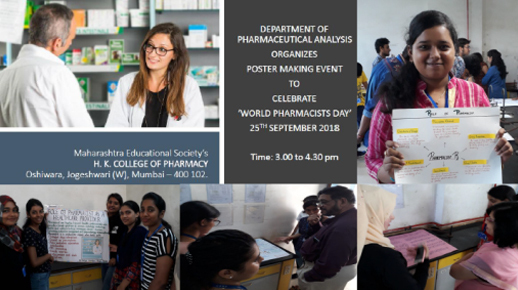 A ‘Poster making’ event was organized by Department of Pharmaceutical Analysis to celebrate “World Pharmacists Day”. 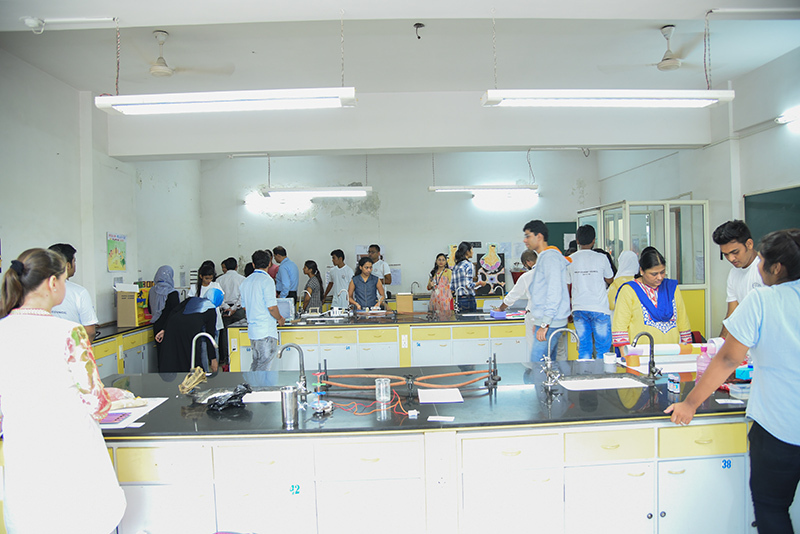 About 60 students from second year and first year B. Pharm. 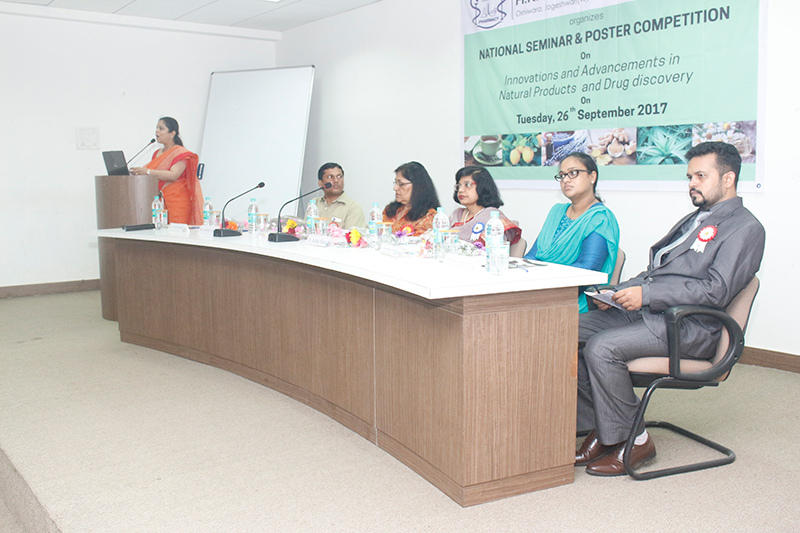 participated in poster making. 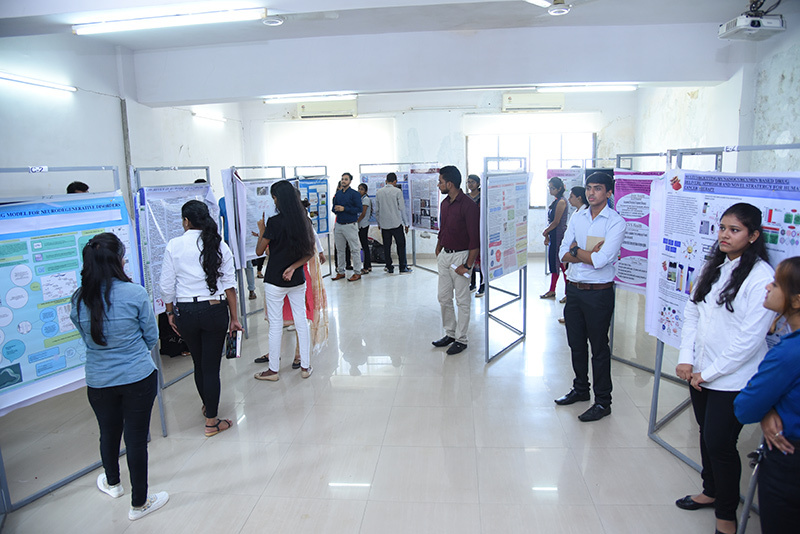 Total 15 poster were presented by the students. 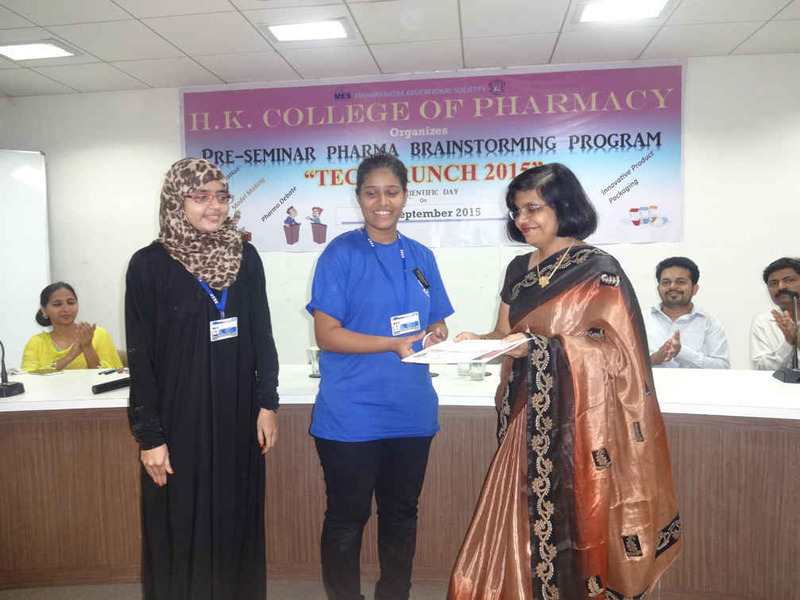 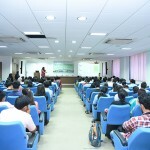 The event helped the budding pharmacists understand their contribution as a professional towards the society. 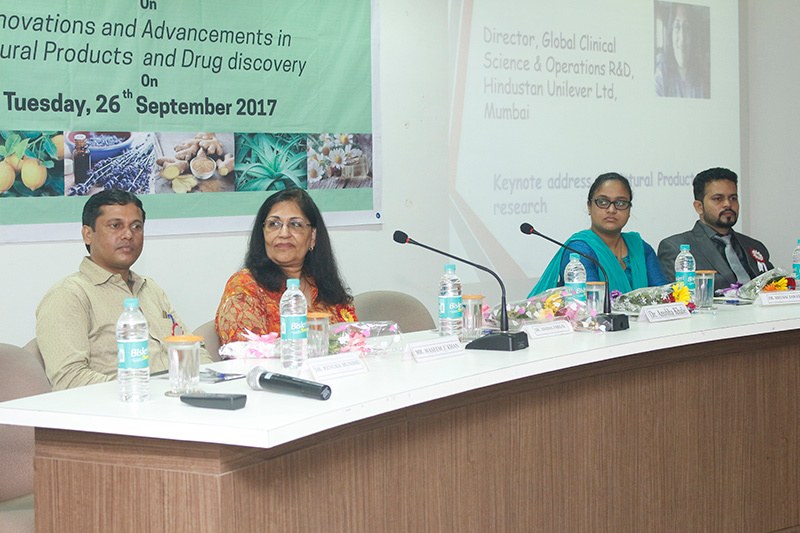 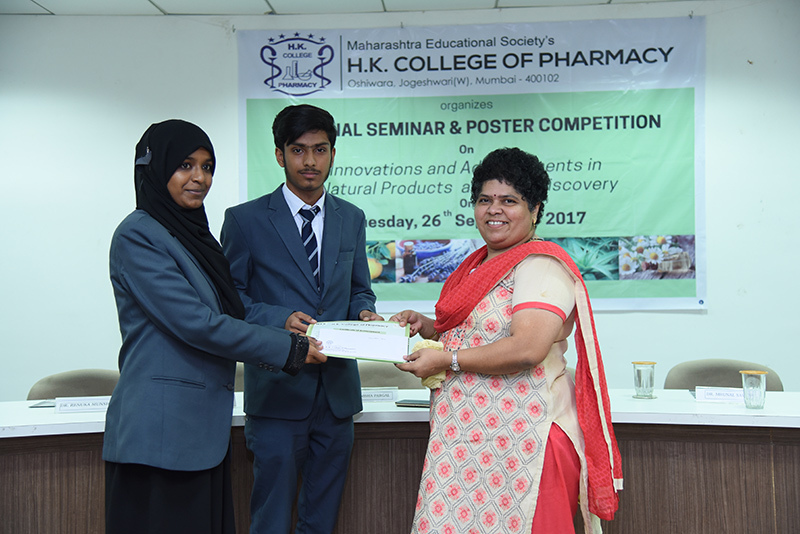 On the platform of H. K. Knowledge Base, H. K. College of Pharmacy, Jogehwari (W), Mumbai, organized two days intercollege Scientific program. 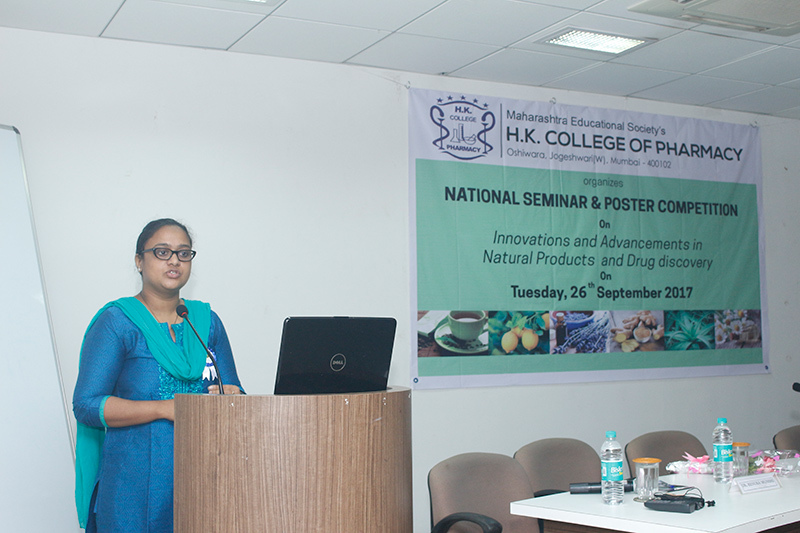 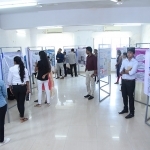 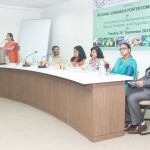 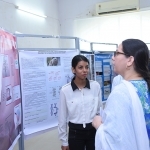 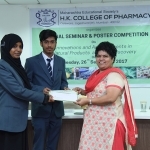 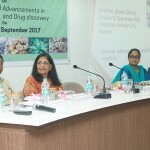 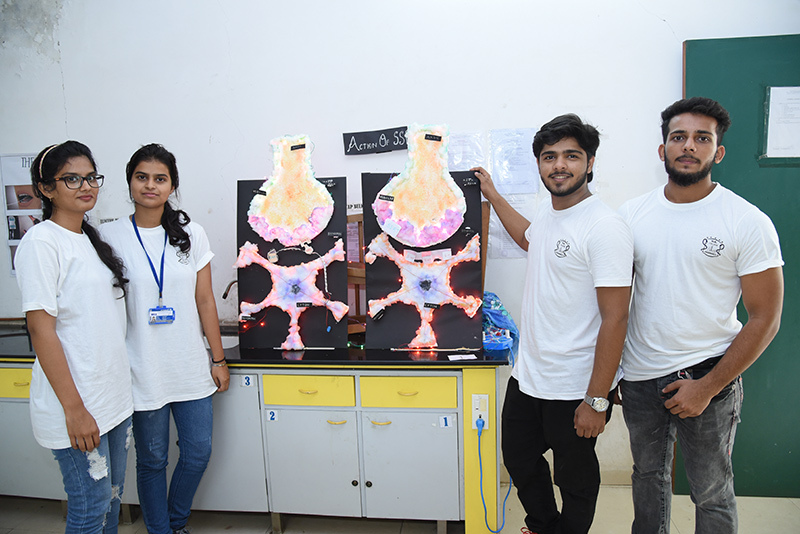 One-day national seminar was organized on the theme- ‘Innovations and Advancements in Natural Products and Drug discovery’ along with poster competition. 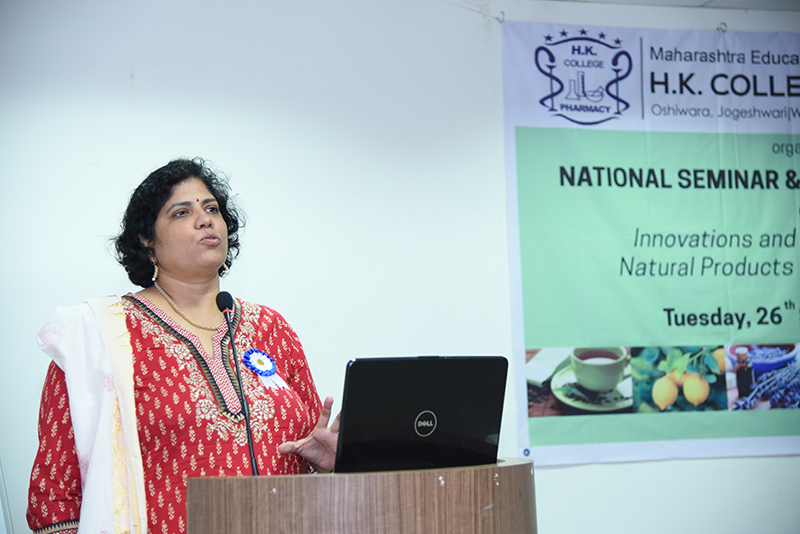 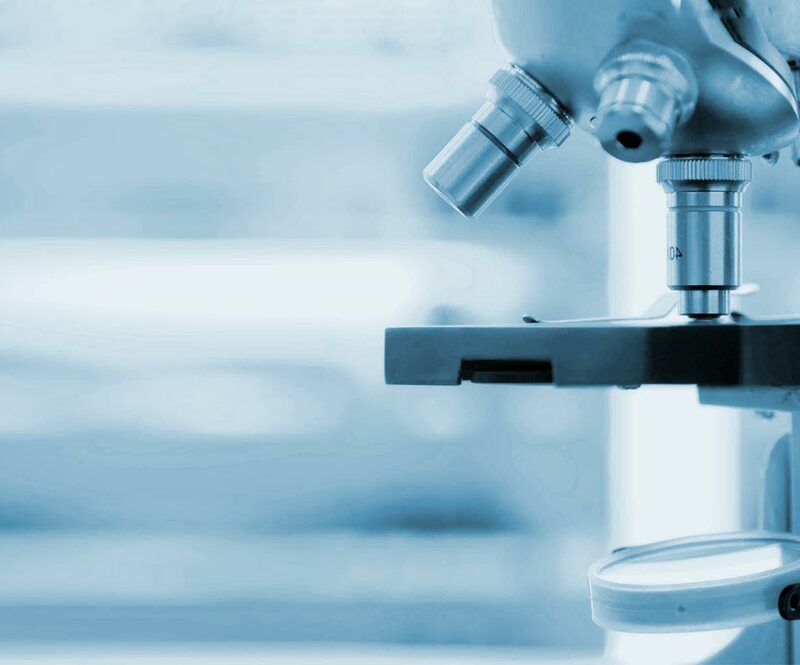 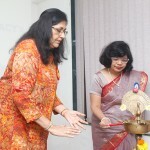 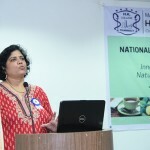 Chief guest mentioned in her key note address, about the importance of natural product discoveries in the plant world, market trends in natural products as drug and opportunities provided by natural products over synthetic products. 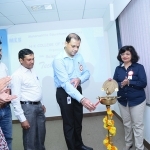 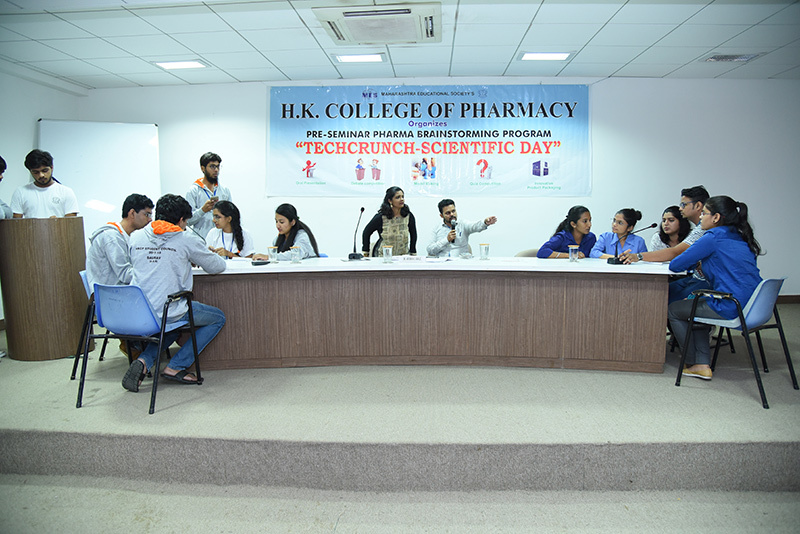 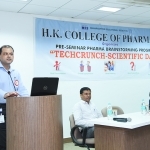 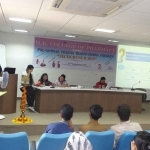 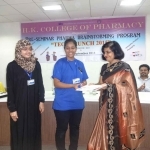 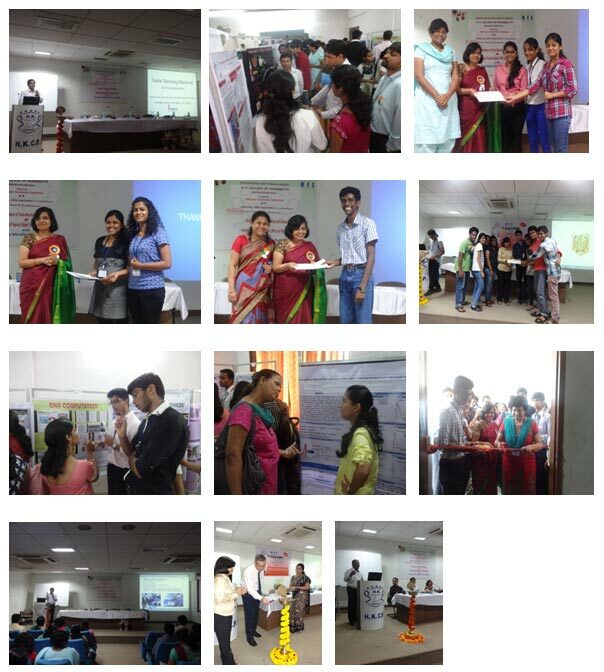 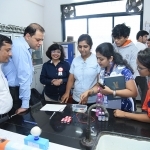 H. K. College of Pharmacy’s, H K Knowledge Base, celebrated 7th Scientific Day, TechCrunch (Intercollege competitions) 2015 on 29th September 2015. 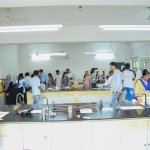 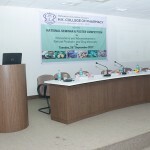 All competitions were open for participation to all pharmacy and science colleges. 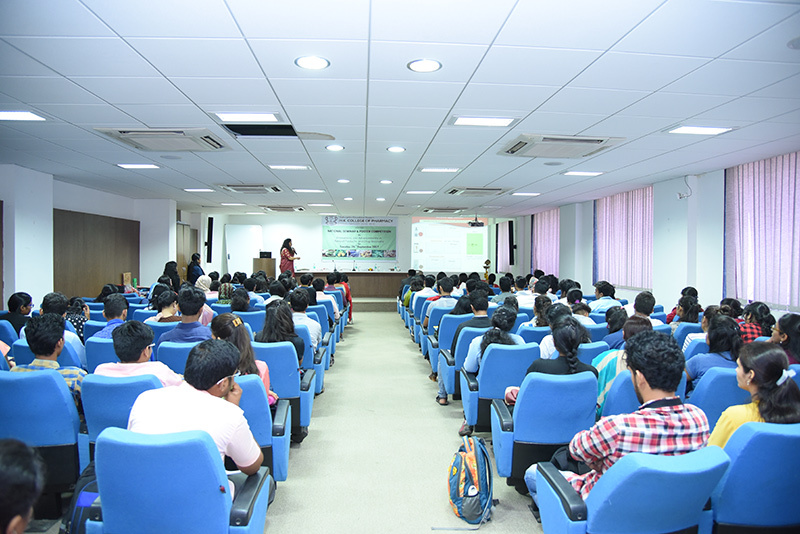 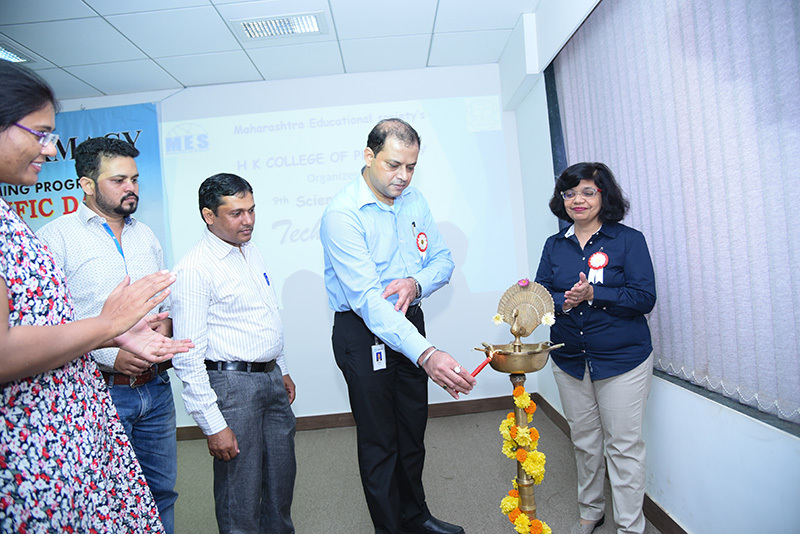 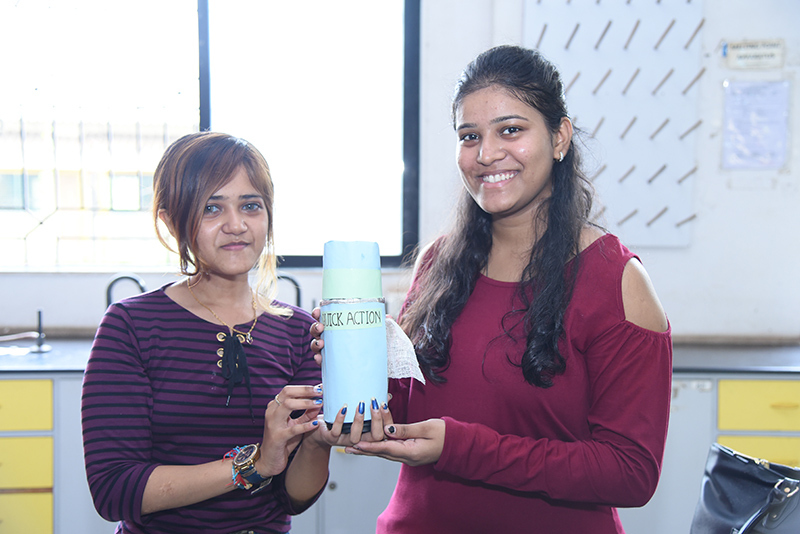 Success of the programme was seen through the overwhelming participation from the students of other colleges from Mumbai and Navi Mumbai. 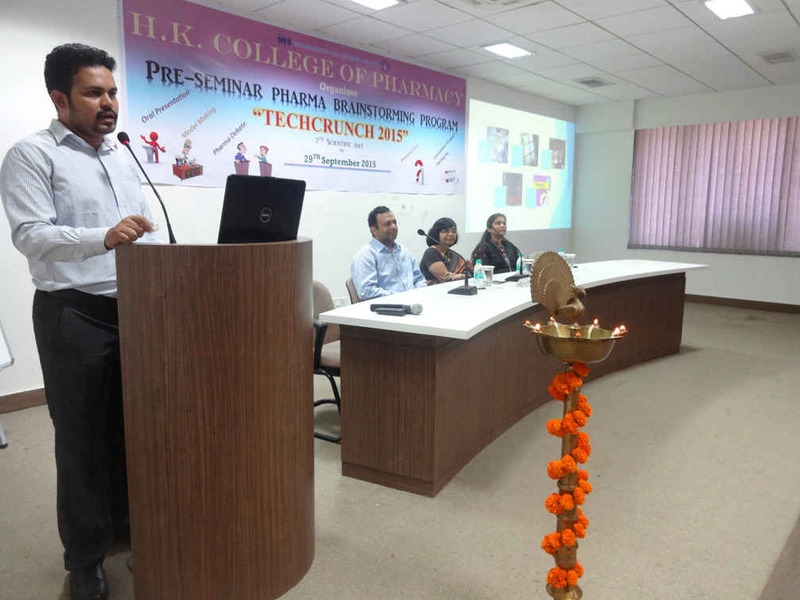 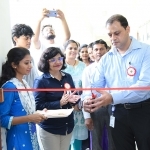 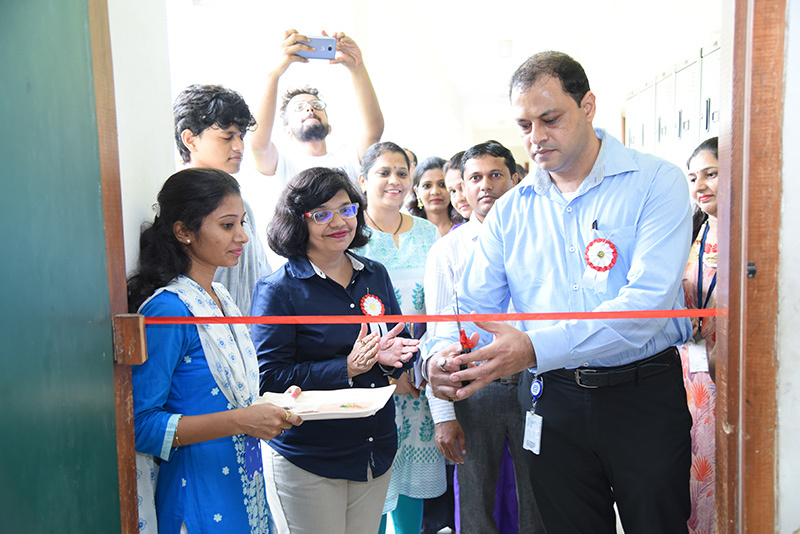 Tech Crunch Programme was inaugurated by Dr. Azeem Khan by Ribbon cutting for Model display. 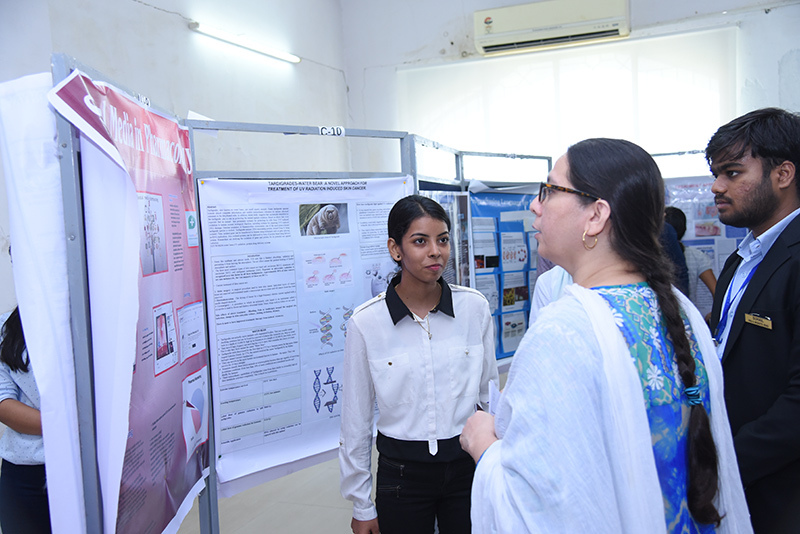 He shows lots of interest in model making competition and Product packaging. 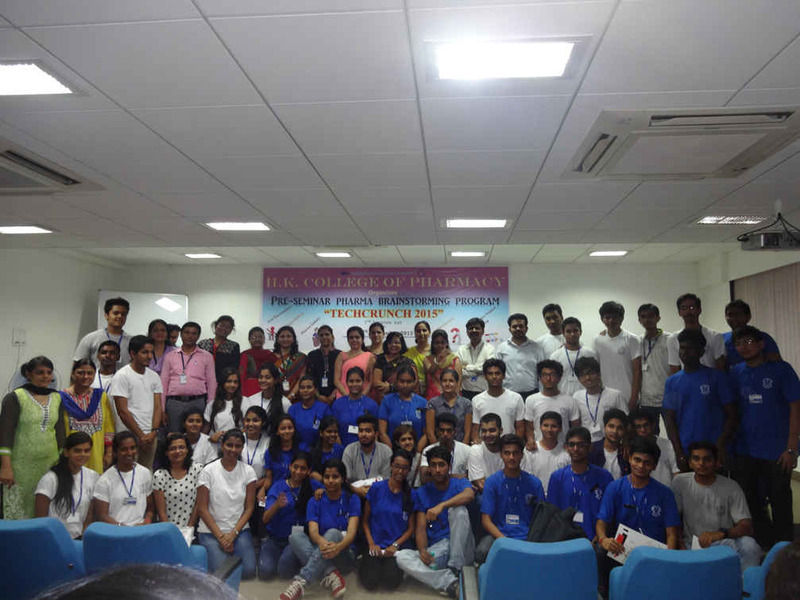 Industrial Visit 23rd-24th Sept 2013 : The week started with Industrial visit to IPCA Pharmaceutical industry at Silvasa. 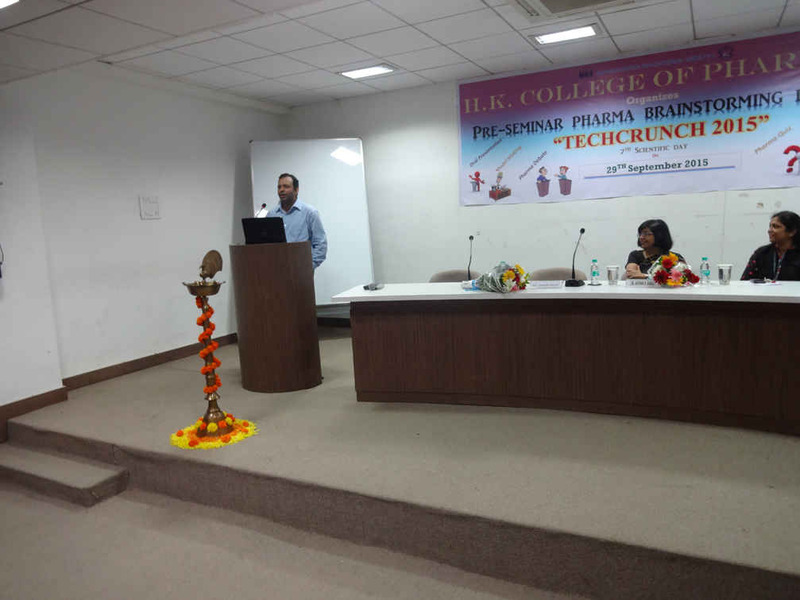 Scientific Day 26th Sept 2013 : The second activity of the week was Scientific Day, named TechCrunch. 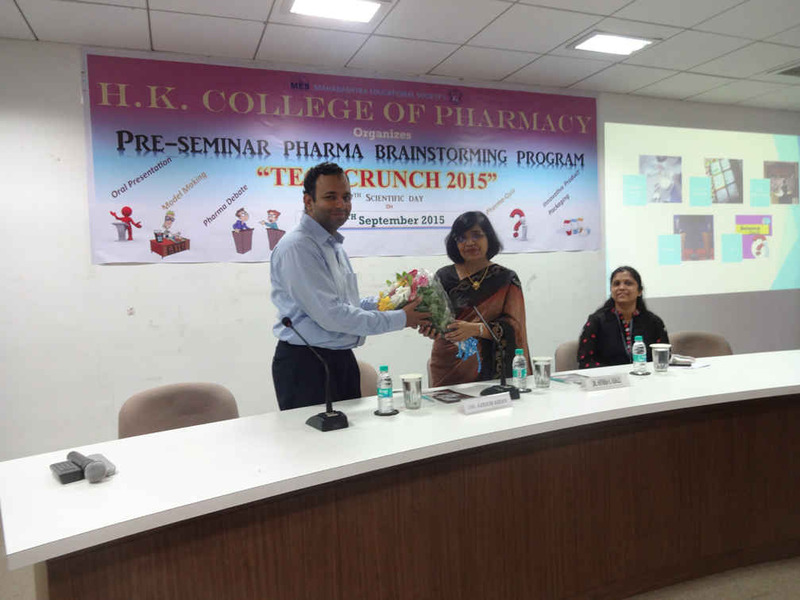 Dr. Shrirang Joshi, Chief Guest of the day inaugurated the event with best wishes to all participants. 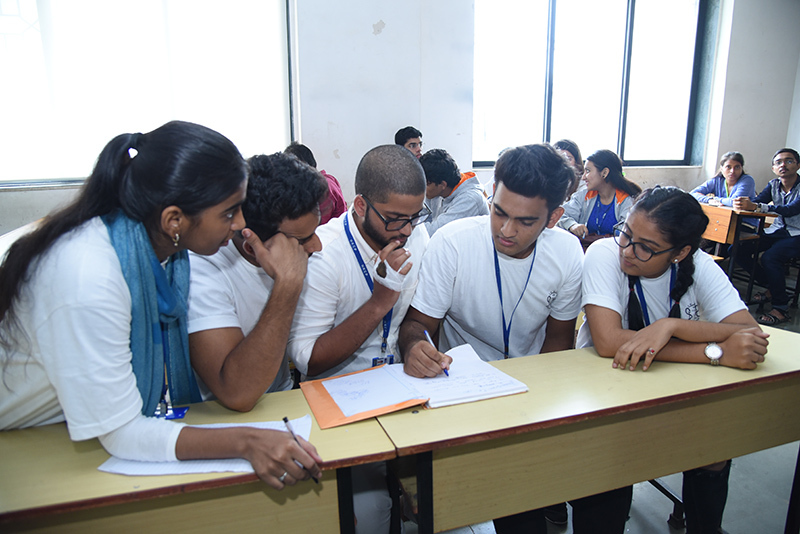 Student participants enjoyed the open intercollegiate competitions in debate, model making, oral presentation and quiz competitions. 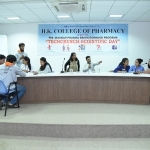 Enthusiastic response from students of HK College, LHH College of Pharmacy, KMK College of Pharmacy, Bombay College of Pharmacy, Oriental college of Pharmacy was overwhelming. 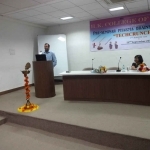 Our past student Mr. Krunal Pawar, shared his experience on Masters course in Epidemiology, specialization in clinical and genetic epidemiology, in University of Munich and guided the students on study and research in Germany, through his presentation. 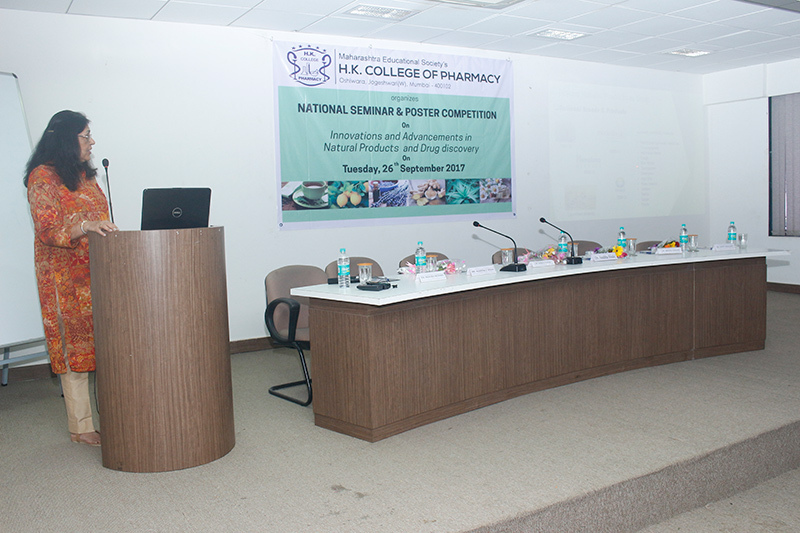 One Day National Seminar 28th Sept 2013 : Chief Guest- Dr. Ashok Omray, President, Ideal Cures Pvt Ltd., Mumbai. 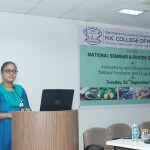 Seminar Theme- “Techniques of taste masking and Evaluation” and “Intellectual property rights’ (IPR) and patent drafting”. 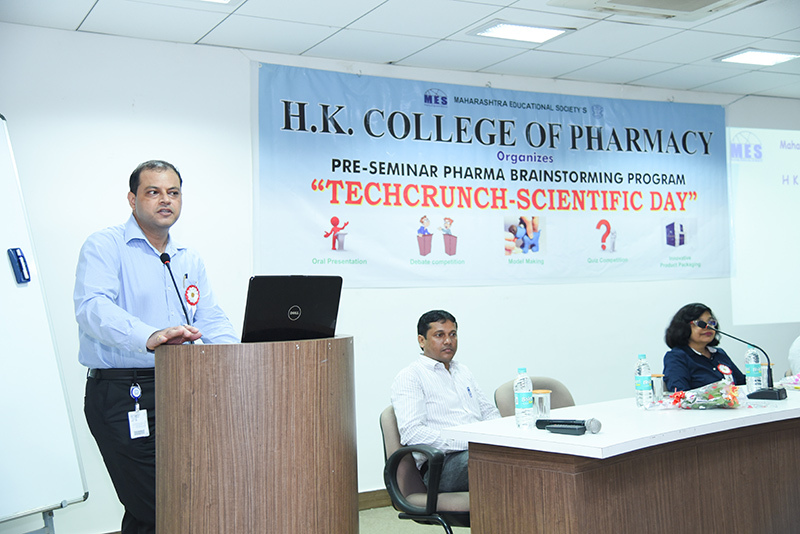 Speakers- Mr. Sourabh Dhopade, Mr. Afroj Sayyed, Mr. Kamlesh Rathod from S.Zhaveri Pharmakem Pvt. 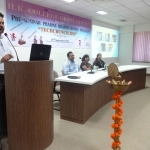 Ltd., Mr Sandeep Mane from Roquette India Pvt. 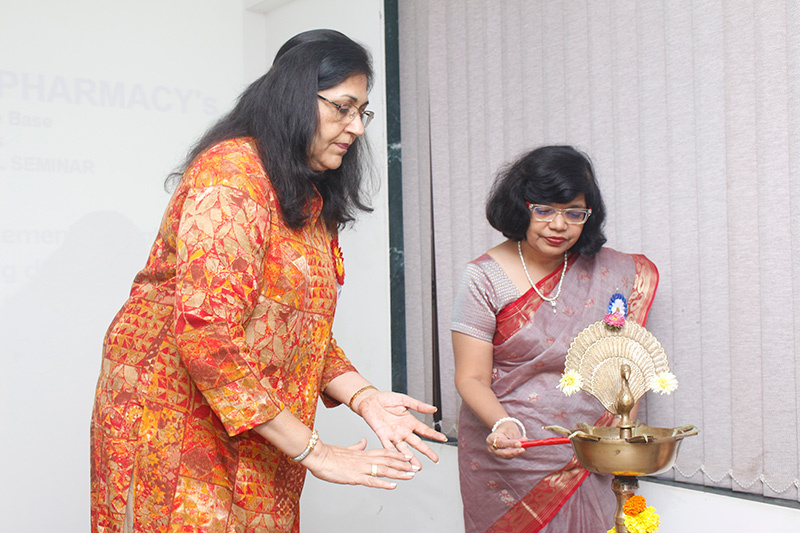 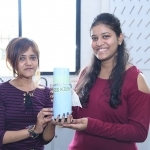 Ltd and Ms. Andreya Fernandes, Ms. Bina Dandekar from Gopakumar Nair Associates. 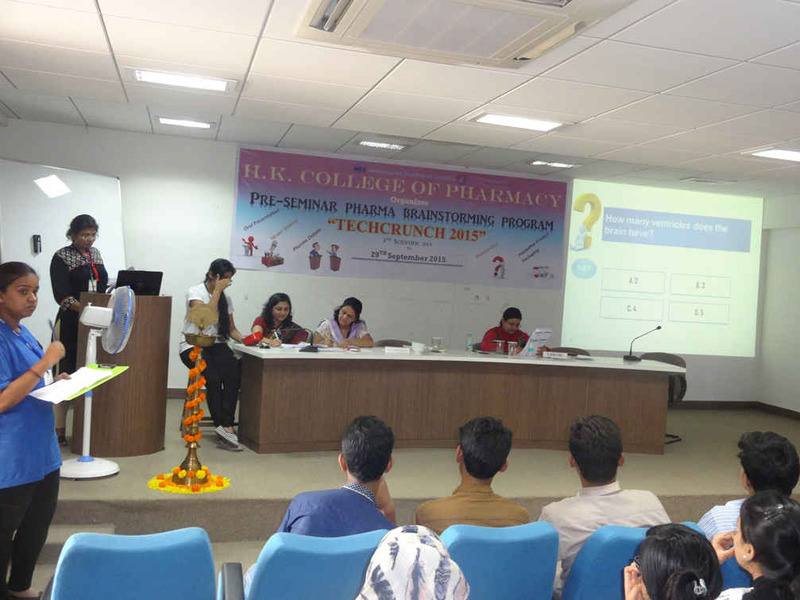 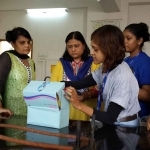 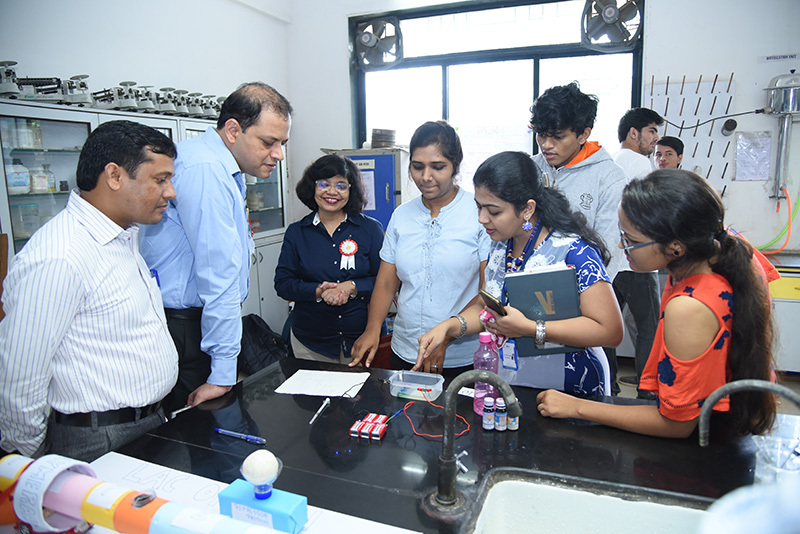 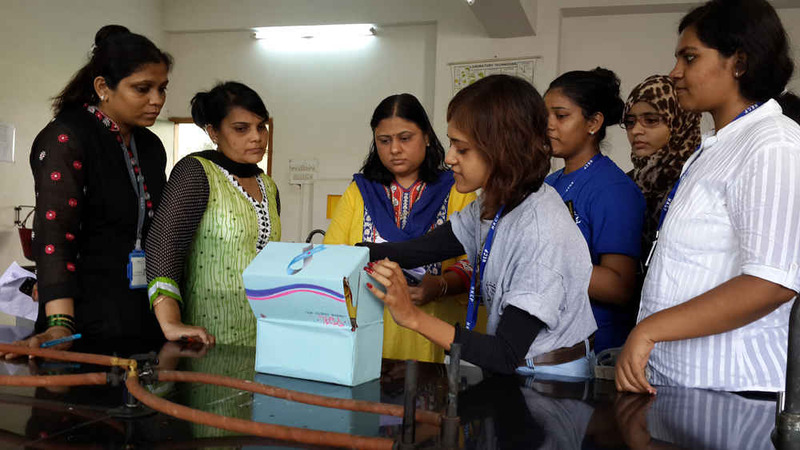 Poster evaluators: Dr. Rajani Athawale, C.U.Shah College of Pharmacy, Mr. Arvind Naik, St. Johns College of Pharmacy, Dr. Rashmi Srivastava and Mrs. Sheeja Koliyote from MET college of Pharmacy, Dr. Mrunmayee Toraskar, Bharati Vidyapith College of Pharmacy.